You can use the Dimensions tab to look at data across your entire account, an individual campaign, or an ad group. Use the different dimensions, such as different times of the day or days of the week, to gain more insight into your ad performance and help you identify opportunities for optimization. · Time: Use the Time view to see how ads in your ad group performed during a specific time period. For example, you might want to track an ad’s performance on an hourly basis to see how well it's performing at different times throughout the day. Then you can use these insights to schedule your ads for the hours when they're most likely to receive the greatest number of impressions and clicks. · Geography: Another useful view is the Geographic and User locations views. You can see individual regions where your clicks came from and use the information to refine your location targeting. · Landing page: The Destination URL view lets you see what page your customers are going to on your website when they click your ads. Make sure that the destination URL you use for each ad directs customers to the most relevant page within your website. Ideally, that webpage will be dedicated to the specific product or service that's highlighted in your ad. The Search terms report allows you to see the terms people were searching for when your ad was shown. You can also see the performance metrics for those searches. · New keywords: Add well-performing search terms to your ad group as keywords. You'll want to consider adjusting your bids and ad text as well, to help make sure you capture the traffic that these search terms are already receiving. · Negative keywords: If there are search terms that aren't performing well or helping you meet your goals, add them as negative keywords. This will prevent your ad from showing to people who are looking for something you don't sell, helping you increase your profitability and better controlling the flow of traffic to your account. · Match types: Find the correct match type (broad, phrase, exact) for existing keywords. The "Match type" column shows how closely the search terms that triggered your ads are related to the actual keywords in your account. You can use this information to refine the match types for your keywords to show your ads to the correct customers. · Ad text: Get a better understanding of what potential customers were looking for, or were interested in, when they searched for terms that include your keywords. That way, you can make your ad text more relevant to what people are looking for. The top movers report shows you which campaigns have the biggest changes (increases or decreases) in clicks, costs, and conversions, and shows you some possible causes for those changes. The report compares performance for two consecutive time periods of equal length, and finds the campaigns and ad groups that experienced the largest change between the two periods. You can use the report to identify which campaign and ad groups you need to take action on, and see the impact of changes that have been made to your account. The report can also help you see whether your overall account metrics have moved in unexpected ways — if your costs go up or clicks go down, you'll want to know why. And even if your overall performance metrics don't appear to be changing too much, you can regularly review the report to identify changes that might have been overlooked. · Top movers are the campaigns and ad groups (up to 10) that saw the largest change up or down as measured by the size of the change — not the percentage change. · Changes will only be attributed once. For example, if a campaign has only one ad group, and that ad group sees a huge increase in clicks, the campaign will, too. However, only the ad group will show in the report as a top mover. With the paid & organic report, you can see how often pages from your website are showing in Google search results, and which queries triggered those results to show on the search results page. Keep in mind that in order to use the paid & organic report, you'll need to have a Search Console account for your website, and you'll need to link that Search Console account to your AdWords account. This information helps you understand how paid and organic search work together to help you reach people searching online, identify new, potentially valuable keywords, and gain an overall view of how your online presence is performing overall in terms of attracting views and clicks. Below are a few uses for the paid & organic report. Use the report to look for queries where you only appear in organic search with no associated ads. · Identify queries with a low number of paid impressions by adding a filter for "ad impressions = 0" or "ad impressions < X" (if you have multiple accounts, all organic search data will be imported in each account). · Downloading a paid & organic report in a My Client Center (MCC) manager account will allow you to find duplicate organic queries and identify queries that have no paid impressions across any accounts. · Add an additional filter to identify queries containing specific text, like your brand name or your most important products and services. Improve your presence in paid results and monitor your high value queries for organic results. · Identify relevant queries for your business that have low organic traffic volume and target these queries to strengthen your paid search presence. · Tailor your ad text and use ad extensions to show a more useful, prominent, and differentiated message from your organic listings. Monitor the impact of changes to your website, bids, budgets, or keywords across paid, organic, and combined traffic. · See how changing your keyword bids increases or decreases overall combined clicks for related queries, and work to cost-effectively increase your overall traffic for your most important queries. · Understand how ads may impact your combined performance for certain queries by comparing the "organic only" and "both shown" segments for the same query. See how your clicks/query differ when you have both types of listings on the page, compared to when you just have one or the other. Use the Auction insights report to compare your performance with other advertisers who are participating in the same auctions that you are. With the Auction insights report, you can see how often your ads rank higher in search results than those of other advertisers, and how your share of total possible impressions compares with theirs. You can use the information in the Auction insights report to help you make strategic decisions about bids, budgets, and keyword choices by showing you where you are succeeding and where you may be missing opportunities for improved performance. You'll also want to consider using the report to identify significant competitors in the auction, or benchmark your performance against other competitors. Fiona's Search campaign has been running for one month, giving Antoine enough data to measure how the campaign is performing and to identify improvements. Antoine wants to see how Fiona's ads performed on different types of devices — computers, mobile phones, and tablets. Antoine uses the device segment to customize the campaign data and sees that the clickthrough rate for ads that appear on mobile phones is .45%, compared to .25% for computers and .34% for tablets. Based on this data, Antoine increases the campaign's mobile bid adjustment +30% for searches on mobile devices. Video ads on youtube and across the web. Promote your app across search, Display and Youtube . The text ads that appear alongside Google search results are just one type of ad format you can create with AdWords. You can also promote your products and services with video ads, image ads, app or digital content ads, and more. Each ad format has its own benefits, whether it's the ease and affordability of running a text ad, or the colorful storytelling that comes with video. You can run multiple kinds of ads from the same AdWords account and, in some cases, from the same campaign. Florist And Indoor Plant Nursery. Two Locations. Spruce Up Your Desk Today! Maintain ads quickly and easily. Reach customers when they search on Google. Use Ad extensions to provide additional details and contact information that can make your text ads more relevant to customers. Responsive Responsive ads automatically adjust their size, appearance, and format to fit available ad spaces. They can transform into text or image ads. In a matter of minutes, create ads that fit just about any ad space available. Plus, responsive ads can show as native ads, which boost your impact by blending into publisher’s websites. Image Static or interactive graphics. Animated ads in .gif and Flash format can be used. Showcase your product or service in a visual way. Reach customers on websites that partner with Google. App promotion ads Drive app downloads and engagement with app promotion ads. Send your customers to download your app from an app store, or include a deep link directly into your app. Note: Ads will appear only on devices compatible with your content. Video Video ads that show online. 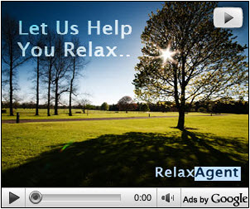 Run standalone video ads or insert them in streaming video content. Deliver a rich and engaging experience to customers. Reach customers on websites that partner with Google. Shopping ads Text ads that contain product features and pricing information. Goes to a product purchase page on your website. Encourage your customers to learn about the products that you sell before they click to your website. Drive phone calls to your business with ads that include your phone number. People can click on these ads and then call your business directly. These ads will only appear on devices that can make phone calls, and any field in these ads can be hidden to fit on smaller screens. Show two headlines, a line of ad text , and your website URL. Use text, graphics, and animation in your ad, or upload your own. Create an ad using one of the ad types from our gallery. Reach, delight, and engage with audiences through rich, interactive formats. Pay only when people engage with you. Create rich media ads that match people's location and the content they're seeing. For a more compelling message. Show expandable interactive ads above the Promotions tab in Gmail inboxes. Pay only for the first click to expand your ad.. Videos can be an effective way to build awareness of your business. Create a video ad on the Google Display Network. Capture people's attention with animated ads. Just add text and an image. We'll take care of the rest. Create a click to download ad to promote your app. Target relevant searches with ads generated instantly from your website. Ads that encourage actions within your Android app. Show click-to-call ads with a phone number. Each bid strategy is suited for different kinds of campaigns and advertising goals. For the purposes of bidding, you'll want to consider three basic types of goals, along with your current campaign settings. · If you want to generate traffic to your website, focusing on clicks could be ideal for you. Cost-per-click (CPC) bidding may be right for your campaign. · If you want to increase brand awareness—not drive traffic to your site—focusing on impressions may be your strategy. You can use cost per thousand viewable impressions (vCPM) bidding to put your message in front of customers. · If you want customers to take a direct action on your site, and you're using conversion tracking, then it may be best to focus on conversions. Cost-per-acquisition (CPA) bidding lets you do that. (a)Maximize Clicks is an automated bid strategy. It's the simplest way to bid for clicks. All you have to do is set a daily budget, and the AdWords system automatically manages your bids to bring you the most clicks possible within your budget. · You have an advertising budget you'd like to reach consistently. · You don't want to spend time monitoring and updating individual cost-per-click (CPC) bids, and you're willing to let the AdWords system update CPC bids automatically. · You're mainly interested in increasing website traffic. · You're new to AdWords or don't know exactly how much to bid for particular keywords or placements. Maximize Clicks isn't a good choice for you if your advertising goals include maintaining a specific ad position or cost per conversion. It isn't possible to set individual CPC bids with Maximize Clicks, but you can set a maximum CPC bid for your entire campaign. You have a website that sells a variety of art supplies, and your main goal is to bring more customers to your site. You have a set amount that you want to spend on advertising each month, and there isn't a particular product you want to emphasize most. Maximize Clicks lets you decide the overall amount of your budget, then we'll find you the most customers based on that. (b)Manual CPC bidding lets you manage your maximum CPC bids yourself. You can set different bids for each ad group in your campaign, or for individual keywords or placements. If you've found that certain keywords or placements are more profitable, you can use manual bidding to allocate more of your advertising budget to those keywords or placements. · You'd like to control maximum CPC bids for individual ad groups, keywords, or placements. · You're mainly interested in increasing website traffic, not necessarily brand awareness. · Your campaign targets the Search Network, the Display Network, or both. If you're not sure which keywords or placements are most profitable, or if you don't have time to devote to managing manual bids, Maximize Clicks is probably a better fit for you. Although your website sells a wide range of art supplies, you're most interested in selling paint brushes. With Manual CPC bidding, even if your ad group has 15 keywords, you can choose to set a higher bid for only the keyword "paint brushes," which will apply whenever that keyword triggers your ad. Manual bidding for viewable impressions, also known as vCPM bidding, lets you control the visibility of your ads by fine-tuning your maximum vCPM bids. · Your ads are designed to increase awareness, but not necessarily generate clicks or traffic. · You prefer the traditional industry metrics of vCPM (cost-per-thousand viewable impressions) campaigns. · You're mainly interested in increasing brand awareness. 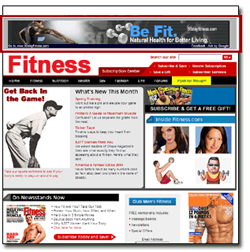 Image ads and other multimedia formats often serve that purpose best, and these ad formats run on the Display Network. · Your message is in the ad itself, so you don't need people to click through to your site. This may apply to events (such as a television premiere) or political advertising. Manual vCPM bidding probably isn't for you if the goal of your campaign is a direct response from customers, like buying a product or filling out a form. You're giving a free concert in Paris, and want to get as many music lovers to come as possible. You're running a campaign with vibrant image ads that share the date, time, and location of the event -- everything a music fan needs to know to show up. As long as people see your ad, they'll know your whole message. Viewable CPM bidding can help you get it in front of as many eyes as possible. Target CPA (cost-per-acquisition) bidding is an advanced option that lets you bid directly for conversions. · You have conversion tracking enabled. · Your campaign is direct-response oriented. For example, the campaign focuses on generating sign-ups or sales on an e-commerce website. · Your campaign has a single well-defined conversion type, such as a completed purchase or sign-up. · Your campaign has a relatively stable conversion rate, with no major changes (such as redefining the conversion event or moving the conversion tracking code) within the last 2 weeks. · For best performance, your campaign should receive at least 50 conversions per month. AdWords relies on historical conversion data, so the longer conversion tracking has been running, the more data the system has, and the better job it can do optimizing your return on investment (ROI). Whether you use AdWords to increase sales, generate leads, or drive other valuable customer activity, it's a good idea to measure your return on investment (ROI). Knowing your ROI helps you evaluate whether the money you're spending on AdWords advertising is going to a good cause: healthy profits for your business. ROI is the ratio of your net profit to your costs. It's typically the most important measurement for an advertiser because it's based on your specific advertising goals and shows the real effect your advertising efforts have on your business. The exact method you use to calculate ROI depends upon the goals of your campaign. By calculating your ROI, you can find out how much money you've made by advertising with AdWords. You can also use ROI to help you decide how to spend your budget. For example, if you find that a certain campaign is generating a higher ROI than others, you can apply more of your budget to the successful campaign and less money to campaigns that aren't performing well. You can also use ROI data to try improve the performance of the less successful campaigns. Many AdWords advertisers use Google Analytics to track conversions. It's a free web analytics tool that helps you learn how your customers interact with your website. Learn more about importing conversions from Google Analytics..
Once you've started to measure conversions, you can begin to evaluate your ROI. The value of each conversion should be greater than the amount you spent to get the conversion. For example, if you spend $10 on clicks to get a sale, and receive $15 for that sale, you've made money ($5) and received a good return on your AdWords investment. To help measure your AdWords ROI, you'll need to track conversions, actions that you want your customers to take on your website after clicking your ad such as a purchase, sign-up, or download. Try conversion tracking or Google Analytics, free tools to help you track conversions in your account. ROI is typically the most important measurement for advertisers because it shows the real effect that AdWords has on your business. While it's helpful to know the number of clicks and impressions you get, it's even better to know how your ads are contributing to the success of your business. Conversion tracking is a free tool that shows you what happens after a customer clicks on your ads -- whether they purchased a product, signed up for your newsletter, called your business, or downloaded your app. When a customer completes an action that you've defined as valuable, these customer actions are called conversions. · See which keywords, ads, ad groups, and campaigns are best at driving valuable customer activity. · Understand your return on investment (ROI) and make better informed decisions about your ad spend. · Use flexible bid strategies (such as target CPA, enhanced CPC, and target ROAS) that automatically optimize your campaigns according to your business goals. · See how many customers may be interacting with your ads on one device or browser and converting on another. You can view cross-device, cross-browser, and other conversion data in your “All conversions” reporting column. · Website actions: Purchases, sign-ups, and other actions that customers complete on your website. · Phone calls: Calls directly from your ads, calls to a phone number on your website, and clicks on a phone number on your mobile website. · App downloads and in-app actions: Downloads of your Android or iOS mobile apps, and purchases or other activity within those apps. · Import: Customer activity that begins online but finishes offline, such as when a customer clicks an ad and submits a contact form online, and later signs a contract in your office. · You add a conversion tracking tag, or code snippet, to your website or mobile app code. When a customer clicks on your ad from Google Search or selected Google Display Network sites, a temporary cookie is placed on their computer or mobile device. When they complete the action you defined, our system recognizes the cookie (through the code snippet you added), and we record a conversion. · Some kinds of conversion tracking don’t require a tag. For example, to track phone calls from call extensions or call-only ads, you use a Google forwarding number to track when the call came from one of your ads, and to track details like call duration, call start and end time, and caller area code. Also, app downloads from Google Play will automatically be recorded as conversions, and no tracking code is needed. There are two important conversion tracking metrics: conversions and converted clicks. You can view both metrics in your conversion tracking reports. The "Converted clicks" column shows you the number of AdWords ad clicks resulting in one or more conversions within your chosen conversion window. Note that the converted clicks count doesn't reflect the relative value of each converting click. Clicks that lead to high-value conversions (such as multiple purchases) aren’t distinguished from those that lead to low-value conversions (such as a single newsletter sign-up). Also, you can't segment the "Converted clicks" column by conversion name, source, or category, because each ad click can lead to multiple conversions. If you were to segment by conversion name, some converted clicks could be counted more than once, and your segmented converted clicks would add up to more than the total.